It covers the archaeology of this exceptionally rich and interesting island up to the coming of the Romans; a definitive study but written with the general reader in mind and copiously illustrated. 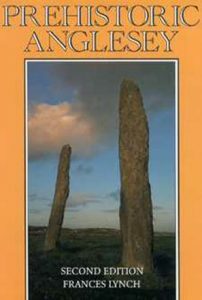 This second edition is in three parts – a new introductory section discussing current views and interpretations of prehistory in Britain – a reprint of the original 1970 text now out of print – and a section describing the new excavations and discoveries of the last twenty years. There are also Appendices listing radiocarbon dates, environmental data and bronze analyses. Frances Lynch was a Lecturer in Archaeology at the University College of North Wales, Bangor and has been carrying out research and excavations in Wales and Ireland since 1964 when she first came to the University.